Dino is the baby of the trekking team and is a firm favourite with our trekkers. He has a beautiful soft light brown fleece, huge baby eyes and is also one of the most greedy alpacas on the farm (and for this reason whilst he might be the youngest, he’s by no means the smallest!). 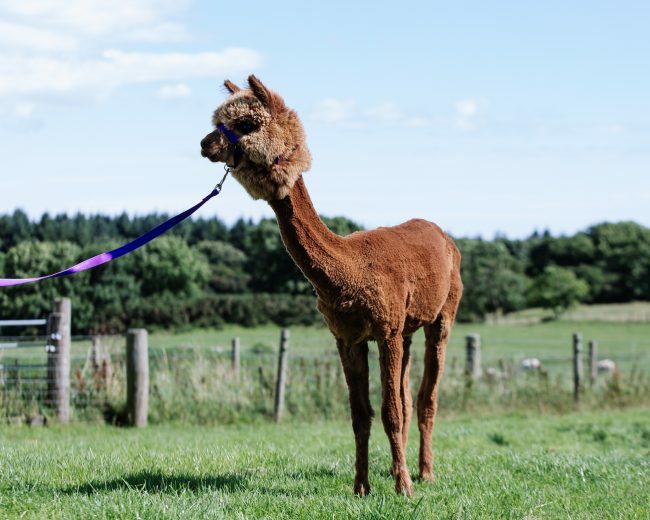 As a baby (Cria) Dino got lots of attention in his early days after a bit of a traumatic birth, but we’re very pleased that after lots of TLC, he’s developed into a top trekker!